ing Henry I originally bestowed land on the monks of Reading Abbey, who created fishponds in the grounds – three of which still exist. 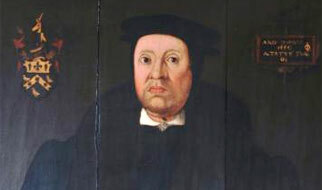 In 1540, following the dissolution of the monasteries including Reading Abbey, King Henry VIII granted it to John Winchcombe, a wealthy wool merchant. The manorial estate, including Bucklebury House, later passed to the Hartley family, descendants of a female branch of the Winchcombe family. 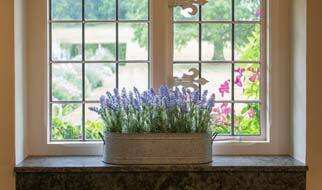 The Hartleys still retain Manors of Bucklebury, Stanford Dingley, Iffley and Donnington. 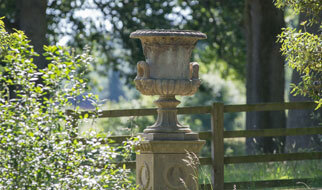 Bucklebury House is situated at the centre of the Estate and is surrounded by formal gardens and parkland. The House has an interesting series of outbuildings including a Dovecote, Stable Block, Carriage House, Theatre and Chapel. The old kitchen houses an interesting fan-propelled spit and range. The House also includes one of the country's oldest bathrooms together with an oval shaped lead bath dating back to the early 18th century and a priest’s hole. Bucklebury House is also home to William Tyndale’s pulpit; reputedly the first pulpit from which English was spoken in England. Tyndale translated the Bible into English in 1525. The pulpit was originally in St Adeline’s Church in Little Sodbury, Gloucestershire before the church was demolished in the 1890’s and when it was removed to Little Sodbury Manor. The current Lord of the Manor, Willie Hartley Russell was brought up at Bucklebury House. In 2013 Marina Hartley Russell undertook an extensive renovation of the house, including the attics. 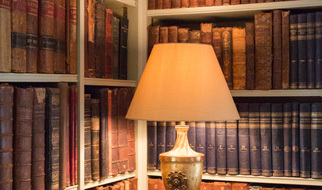 Bucklebury House has extensive archives and a significant collection of early editions. 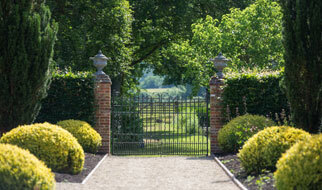 The house is surrounded by herbaceous borders and imposing oak trees.